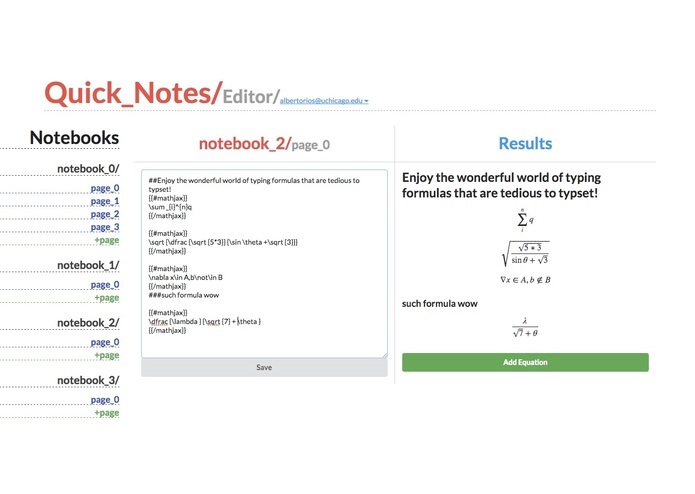 This webapp is Inspired by lovely Math/CS professors that think we all have time to typeset our homework! 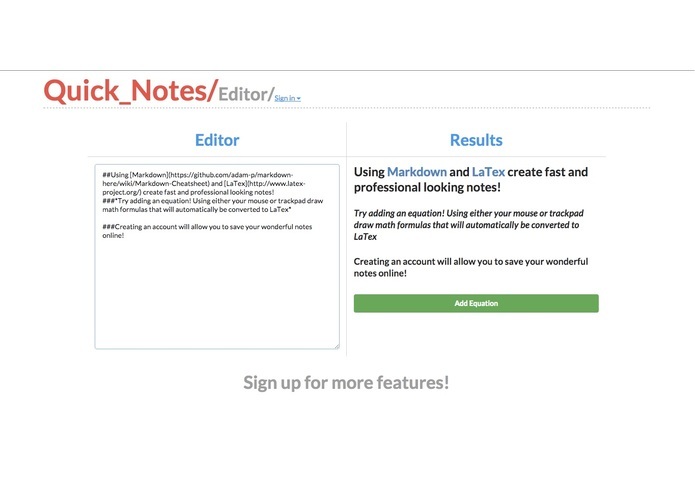 Quick Notes is an online note taking tool that takes advantage of the cleanliness of markdown + LaTex while trying reducing the pain of tediously typesetting nested \fracs,\sqrts,and \Sigma's with sub/super scripts via myScript handwriting recognition! 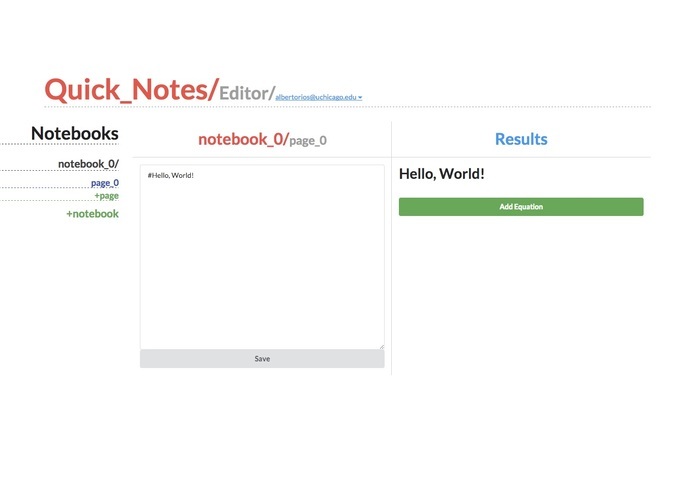 I am looking to use tessaract (handwriting ocr) in order to allow users to upload prewritten notes into Quick_Notes. 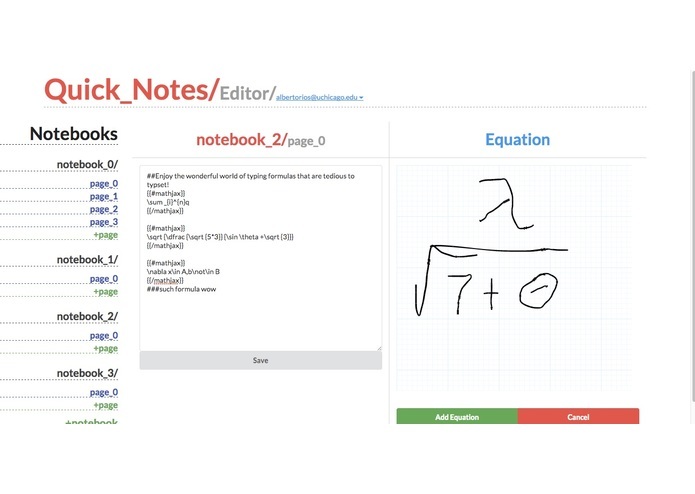 Further, I would like to create a way to use the trackpad in a more tablet-like way for handwriting.